1&1 is a web hosting provider that is suitable for most small businesses, freelancers, and startups. It offers users with a free domain, 24/7 customer support, daily backups, anti-phishing capabilities, and more. We compiled 1&1 reviews from our website and around the web and determined that it has a mix of positive and negative ratings. We also shared its available pricing options. Users who gave 1&1 a positive review said that it offers small businesses with very affordable plans that include essential web hosting features. Reliable customer support was also cited. Users who gave 1&1 a negative review said that they experience frequent system downtimes. They also complained about the absence of a free cPanel for WordPress management. A user who left a positive review of 1&1 on G2 Crowd commended the platform for providing their business with the fundamental tools to register a domain name and host a website. He also shared that the company offers a variety of pricing plans suitable for any budget size. A user who left a negative review of 1&1 on G2 Crowd said that setting up a WordPress-powered site through the platform is a rather long and complicated process. He also advised other users to always backup their sites, and shared that the service frequently encounters system downtimes. 1&1 offers three subscription plans ranging from $0.99 to $8.99 per month for the initial pricing. Renewal pricing ranges from $7.99 to $14.99 per month. The main differences between the plans include the data storage size, database allocation, scalable website speed and performance, number of websites, and email account allocation. Does 1&1 offer a free trial? There was no mention of a free trial on 1&1’s website. Interested users need to contact the company’s sales team to know more about the company’s products and services. What is the difference between the introductory prices and renewal prices? 1&1’s introductory prices are only available to new customers and are valid for the initial term only. Regular rates will apply upon renewal. Does 1&1 offer a transfer service for existing hosting contracts? No. However, 1&1 offers domain transfer services from other hosting companies. To do this, you have to obtain the authorization code from your current provider and let 1&1 take care of the process. What kind of customer support does 1&1 offer? 1&1’s technical experts offer 24/7 telephone and email support to their customers. Not sure if 1&1 is the right fit for you? Read our reviews of all top web hosting providers. 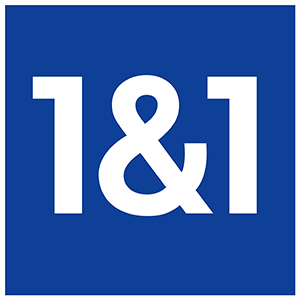 1&1 has great customer service and outstanding uptime. I’ve used them for over a decade and have only had one period of extended outage which turned out to be a more global issue than just their company. They offer a ton of features whether you’re a beginner or want more advanced options. I really have no complaints about 1&1. Nothing, I’m completely happy with 1&1 as a registrar and hosting solution. For simple hosting 1&1 is fine, if you don’t want to use a hosted email provider like google for your emails and want your hosting, email and even wordpress to be under the same interface, even if it’s not the best out there, then 1&1 is a good choice. It’s not best of breed in any category. If you were to unbundle, you can get a better deal / better experience elsewhere.